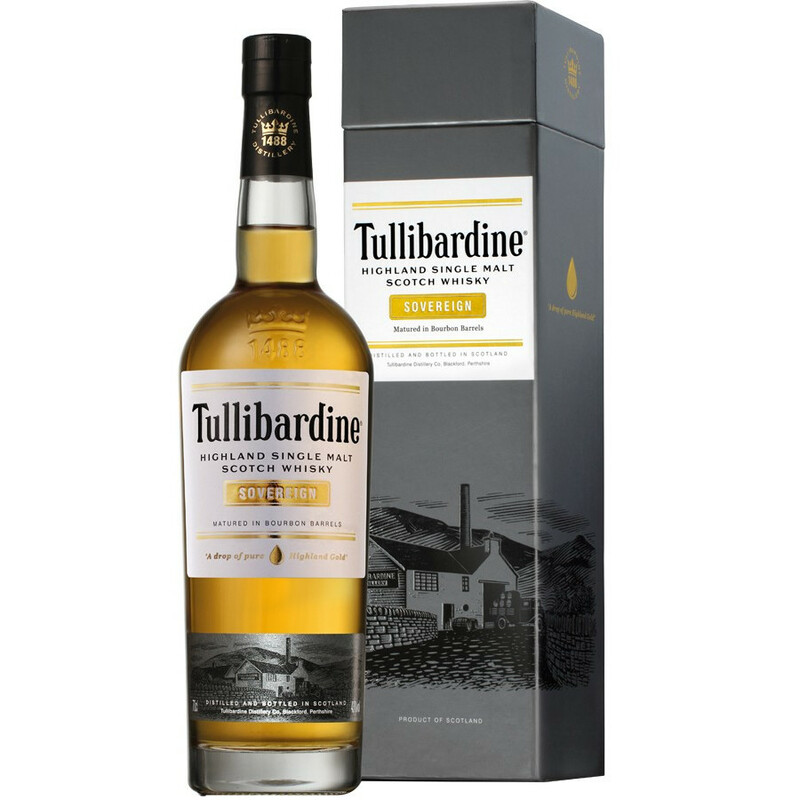 A new Single Malt, still confidential, from the Highlands, Tullibardine Sovereign offers a floral bouquet with notes of malted barley and aromas of chocolate and pear. A Scottish Single Malt from the Highlands, Tullibardine Sovereign is still very confidential. It is a whisky aged in Bourbon barrels of first filling, very often rewarded. The malted barley notes are in perfect harmony with the aromas of chocolate and pear. Founded in 1949, the distillery experienced a large number of redemptions before being put to sleep by its owner, Whyte and Mackay, in 1995. Acquired by Tullibardine Distillery Ltd, it resumed operations in 2003 and was finally resold at French company in 2011. In 2013 the group Picard Vins & Spirits creates a distinct entity under the name of Terroirs Distillers more especially turned towards the brands of spirits including the distillery Tullibardine. Palate: rich in aroma, it confirms the nose and marries the floral notes with aromas of malted and sweet barley, vanilla, chocolate and pear. Finish: it is marked by caramel, pear and sweet spices.